In a nutshell, we are a locally owned and operated outdoor movie company proudly serving the great state of Ohio providing standard free delivery in Columbus and surrounding communities! We take great pride in being able to offer packages for every type of budget. 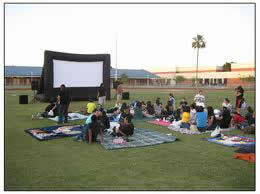 If you are looking to host an outdoor movie night in your backyard or your community then you have come to the right place. Whether you want to host a movie in the park, turn your local parking lot into a custom drive-in theatre, play video games on the big screen or broadcast that live “Buckeye” game you have come to the right place! 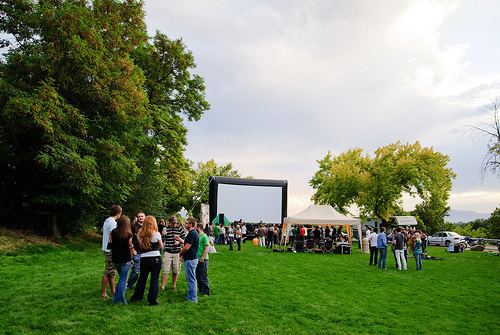 Buckeye Outdoor Cinema uses MASSIVE inflatable movie screens and ONLY uses the highest quality outdoor screens that are available on the market. This coupled with top of the line audio/visual equipment allows us to present our clients with the BEST possible viewing experience available. Our Movie screen packages are available in a variety of sizes to fit your events needs. The widescreen format of our inflatable screens really gives audiences that cinema feel. As well, we feature state-of-the-art digital projectors and Pro-Audio sound systems. 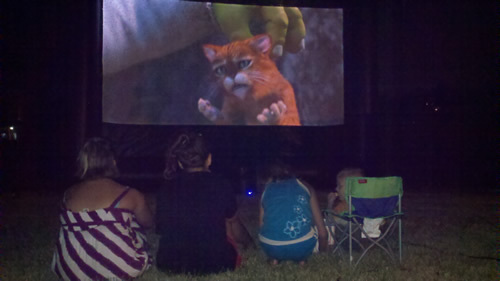 Put it all together, and Buckeye Outdoor Cinema packages can comfortably show movies to crowds of any size. Our clients include: Residential, Parks, Colleges, Schools, Resorts, Marinas, County Clubs, Corporations, Cities, Resorts, Non-Profit, Government, Churches, and Marketing firms. Our equipment and attention to detail is what separates us from our competition. 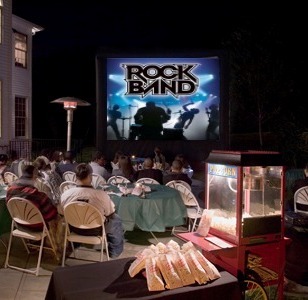 Movie Screen Rentals are perfect for any occasion! Reserve your package online and one of our Movie Screen Pro’s will contact you to discuss your event.